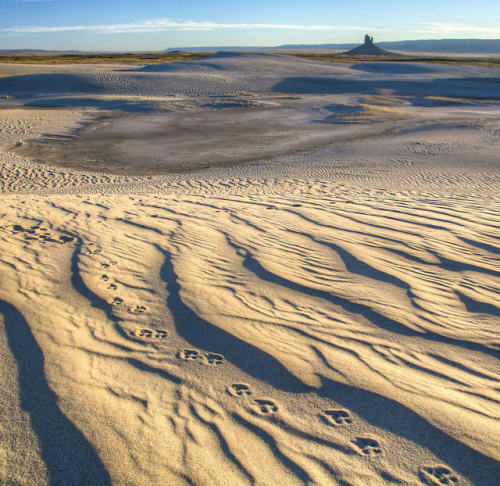 A surprising landscape in southwestern Wyoming, Boar’s Tusk is… – Sig Nordal, Jr.
A surprising landscape in southwestern Wyoming, Boar’s Tusk is the remaining core of a long dormant volcanic eruption. Made of an uncommon rock called lamproite, the butte rises 400 feet above the sandy valley floor. It’s a distinct landmark for anyone, or anything, travelling through the area. Photo by Bob Wick, Bureau of Land Management (@mypubliclands).